There are a number of markers that indicate whether an athletics program is successful, the most obvious being the success of the teams and the individual athletes in games and matches. According to Vice President for Intercollegiate Athletics Sue Willey, wins are not what the University of Indianapolis athletic department chooses to put the most focus on. 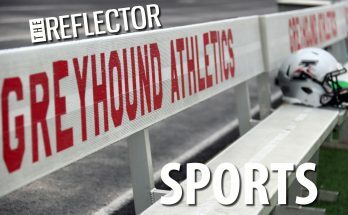 Although the Greyhounds show a lot of success at the regional and national level, with 12 consecutive top 20 placings in the Learfield IMG Directors’ Cup, a national ranking, and being first place seven consecutive times for the GLVC All-Sports Trophy, Willey said a positive experience for the student athletes should be the top priority for all of the athletic officials at UIndy. The student athlete experience starts with the coaches. Willey said that even if a coach has a successful team and if the student experience is not good, then the success does not matter. When hiring coaches, the athletics department looks for quality people who are enthusiastic, have integrity and want to work hard and succeed, but not win at all costs. Willey said good character transitions over to the student athletes as well. Head swimming and diving coach Jason Hite said he has personal values like being confident, passionate and controlling one’s own happiness that he tries to pass to the athletes on his team. According to Willey, student athletes are held to a higher standard than other students and are expected to focus just as much, if not more, on their academics than their sport. This shows not only in the overall high GPAs in the athletic department, but also in the recognition from the GLVC and other organizations. In the last five years, 18 Greyhounds have been Academic All-Americans Athletes and 20 have been recognized as GLVC Scholar Athletes of the Year. Student athletes are also expected to demonstrate respect. Willey said she is proud to hear from hotels and restaurants that UIndy’s teams have been respectful when traveling. She said student athletes are also held to a higher standard in other areas and drug tested regularly. Students are given only two chances before getting kicked off a team, Willey said, so students understand that the use of illegal substances is not tolerated. Willey said she stresses that being a student athlete is a privilege, not a right. 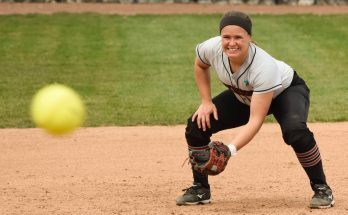 Willey said she wants UIndy to be a students home away from home and the coaches to fill the role a parent would have, which is being a good role model. Student athletes fill out evaluations on their experience with the coaches. Willey said she puts a lot of emphasis on whether seniors would choose to come to UIndy and be a part of the athletic program again. Hite said the development of skills and relationships as well as the memories and team bonding that student athletes do is some of what makes for a good student experience.